Deluxe Vintage Atlas/Map Banner. 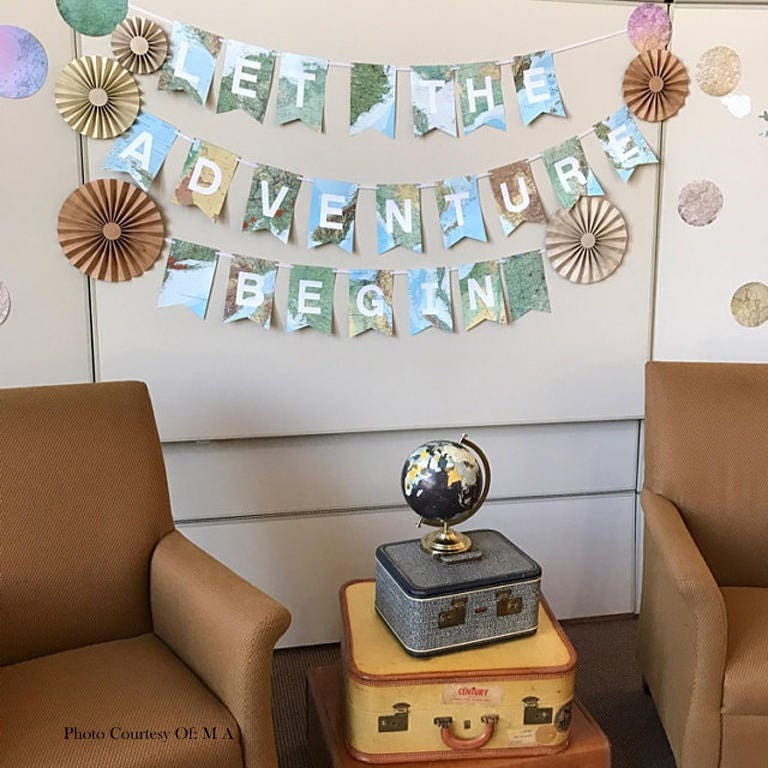 Choose From Happy Birthday, Adventure Awaits, Let The Adventure Begin, or Traveling From Miss To Mrs. 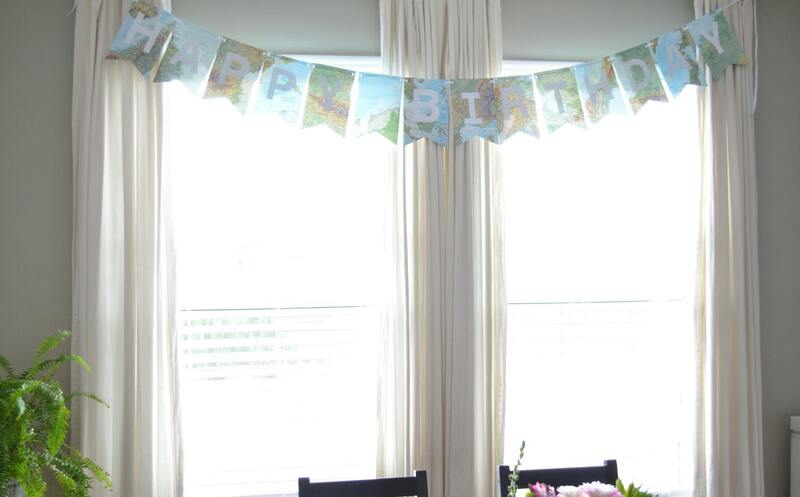 This banner will add a perfect touch to your birthday celebration, bridal shower, baby shower, wedding, bon voyage party or nursery! 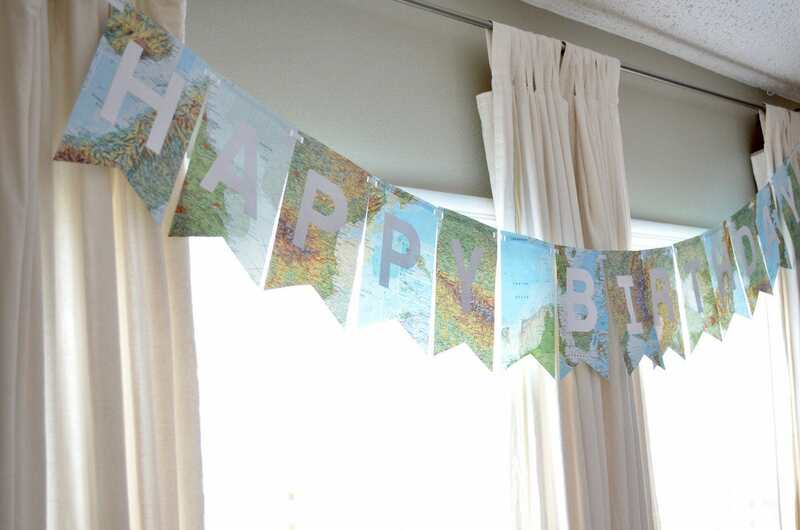 It is made from vintage map paper, sturdy white cardstock letters and satin ribbon, making it an item that can be reused over and over for years to come. You choose the phrase (the option shown is "Happy Birthday"). 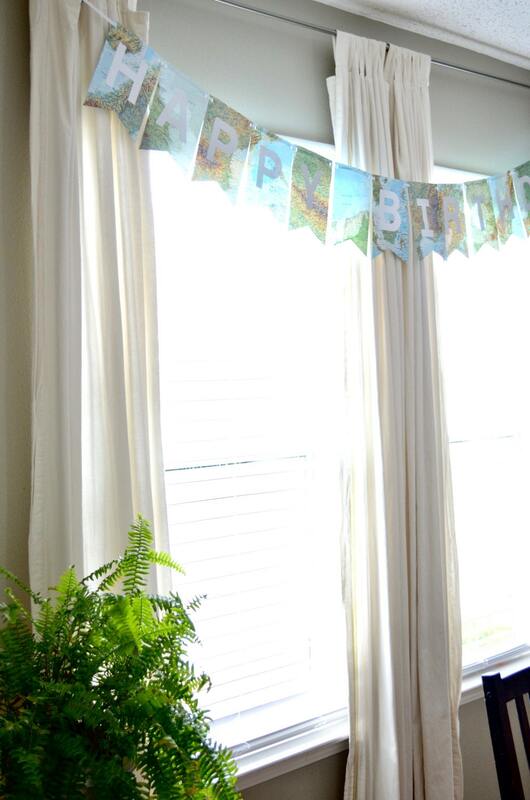 Each banner is made from 4" tall letters that are cut from heavyweight cardstock, and then attached to 8" tall vintage map paper flags that are strung onto a piece of white satin ribbon (length varies from 12-20 feet depending on the phrase chosen).